3 Key Advantages of Turbo Blowers | Compressor-Pump & Service, Inc.
Blowers have key roles to play in the industrial world, with especially important applications in wastewater treatment. Treatment facilities use blowers for the purpose of wastewater aeration, ensuring as quick a breakdown of waste as possible. Blowers may even account for up to 60 percent of a treatment plant’s overall energy consumption. Blower technology has increased rapidly in recent decades. Facility managers now have more options than ever to choose from. One of the most exciting options today comes in the form of turbo blowers. If you would like to improve your knowledge of contemporary blower technology, read on. This article outlines three key advantages of turbo blowers. When it comes to efficiency, few blowers can compete with the performance profile of a turbo blower. Much of this efficiency stems from the type of motor used in a turbo blower. These motors, known as permanent magnet synchronous motors, or PMSM for short, use magnets to run efficiently at incredibly high speeds. These high speeds lead directly to high power output. Better yet, a turbo motor loses virtually no power during transmission. Unlike other types of blower motors, a PMSM connects directly to the impeller, allowing for direct power transmission. The induction motors used to power rotary screw blowers, by contrast, experience much greater efficiency losses. PMSM technology allows turbo blowers to achieve more work using less energy than equivalent blowers. Ultimately, facility managers can expect to achieve nominal blower efficiency levels as high as 82 percent. A positive displacement pump, by comparison, seldom exceeds 65 percent. These savings more than make up for the high initial cost of investing in turbo technology. Turbo blowers exhibit excellent performance characteristics at a range of different flow rates. Older types of blowers, by contrast, often struggled when flow rates moved outside of a rather restricted optimal zone. 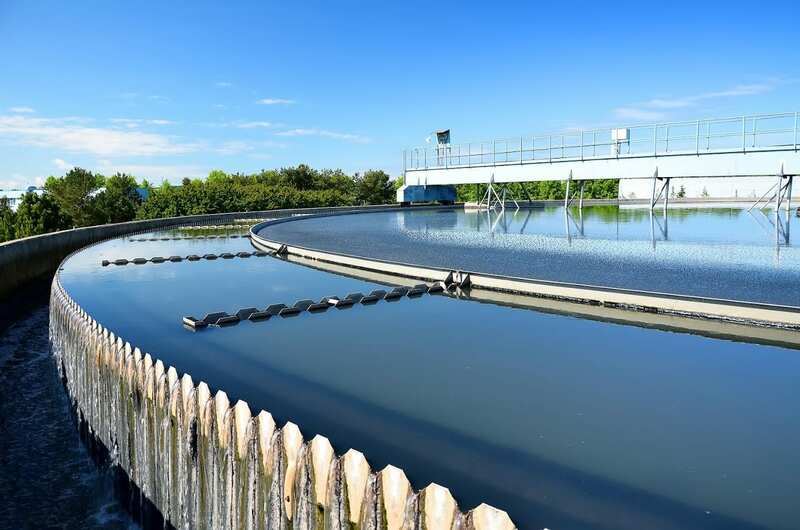 Yet a wastewater plant routinely experiences variations in flow rates. While a rotary screw blower may perform adequately during peak flow scenarios, normal operating conditions may lead to further efficiency losses. The blower simply can’t alter its behavior appropriately, instead continuing to work much harder than it should. A turbo blower avoids this pitfall thanks to its integrated variable frequency drive. A variable frequency drive allows the blower to scale down its performance in response to flow rates. That way, when flow rates dip below average, the blower can ensure it uses as little energy as possible. Better yet, turbo blowers can self-regulate their output using dissolved oxygen sensors. These sensors allow the blower to automatically tailor its performance to changing conditions. All blowers work by generating high rotational speeds. The key to promoting high efficiency involves limiting the amount of friction experienced during this rotation. In the case of traditional rotary screw blowers, this friction reduction comes through the action of lubricated roller bearings. Unfortunately, even the most well-tuned and well-maintained bearings systems still experience some friction. Over time, this friction causes the bearing surfaces to wear down. The high temperatures at which a blower motor operates also contribute to wear. Eventually, bearings fail, leading to the need for expensive repairs and equipment downtime. Turbo blowers take a much different approach to bearing technology, doing away with roller bearings altogether. Instead, a turbo blower uses one of two types of bearing systems: airfoil or magnetic. Both of these systems avoid the need for surface contact, thus greatly reducing both friction and wear. Wastewater facilities rely on blowers more than virtually any other piece of equipment. For that reason, managers must carefully consider which blower system will deliver the best results. For more information about the relative merits of different blower types, contact the pros at Compressor-Pump & Service, Inc.